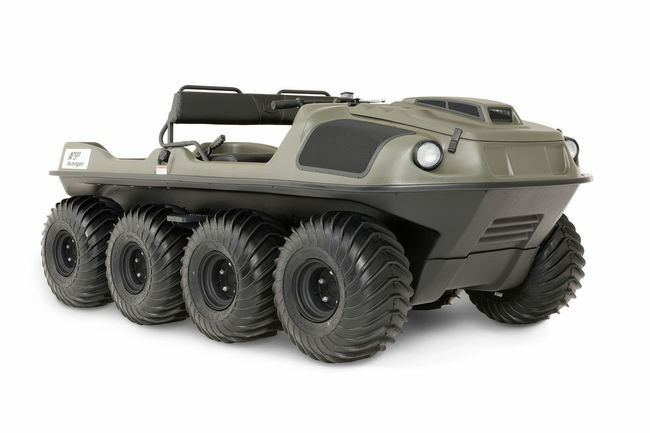 The Argo is the original and truly all-terrain Amphibious vehicle. The Argo Avenger 8×8 with tracks will take you over any terrain and obstacle. Mud, muskeg, snow, rough terrain and even water can all be maneuvered through. When the landscape proves too much for a quad or a side by side an Argo can be a great solution to get through the most unforgiving areas.